Tim Bowman / U.S. Fish and Wildlife Service. 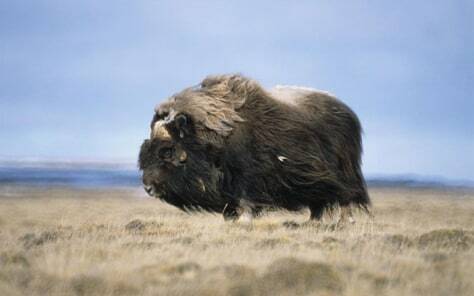 Although they resemble oxen, musk oxen are actually more closely relate to mountain goats and sheep than they are to cattle. The decline of the musk ox population that started around 12,000 years ago was likely a result of changing climate, not human hunting, a new study suggests.